The United Arab Emirates is an increasingly popular tourist destination, with a good infrastructure for visitors. 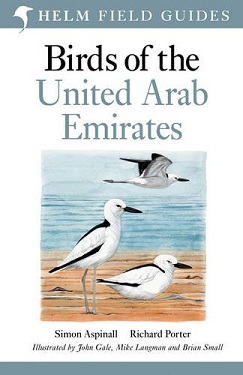 This new field guide is based on the bestselling Birds of the Middle East (2nd edition) and covers all the birds of these Gulf states. The new text written by Simon Aspinall and Richard Porter is specific to the Gulf, and new maps are provided for all breeding birds and regular visitors. 240 pages, 102 colour plates, maps.